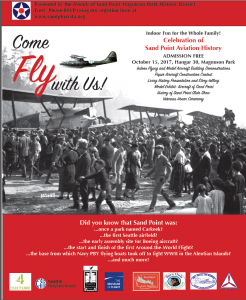 Join Friends of Sand Point Magnuson Park on Sunday, October 15, from 10 a.m. until 4 p.m. for a celebration of Sand Point Aviation History. The day will include model exhibits, storytelling, paper aircraft building, an indoor flying demonstration and tours of the Historic District. Admission is free, and there will be events for the whole family. 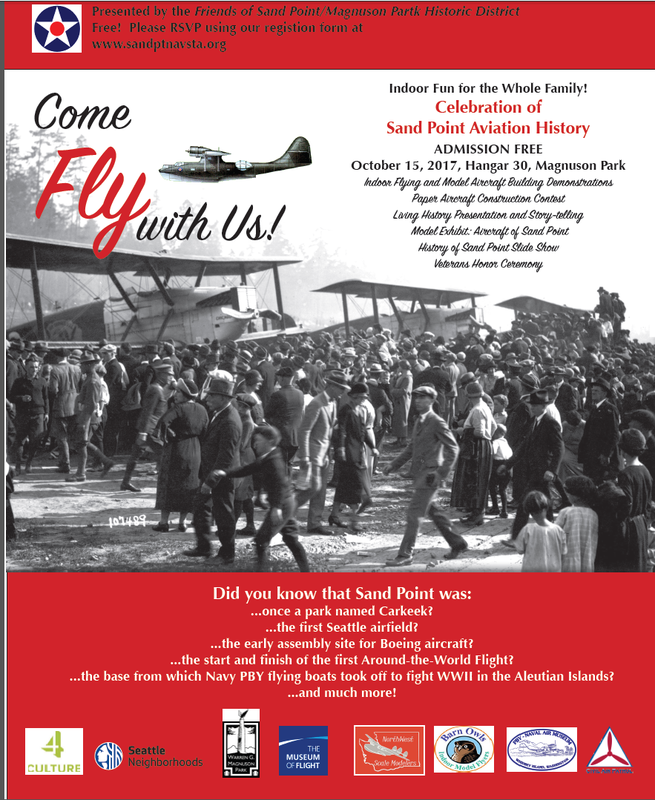 The Sand Point Aviation History Celebration will take place in Hangar 30 at Magnuson Park.